Welcome to my little posting service, I am offering your forum the best forum boost packages for cheap! I will post 10 quality posts, topics or both, that will be engaging and boost traffic and posts on your forum. The answer is simple; people like active forums, where people gather and are discussing you may rest assured that more will join in if the discussions are interesting, hence we provide you with the best quality topics and posts for your forum. You may order either 10 posts or 10 topics or just a mix, but the maximum total number is 10. The post quality is minimum 10 words (I average around 17+ words per post), on topic and interacting(sparks more posts). To clarify since I got a lot of request for promoting with posts, this is a posting service not promotion service, if you don't want posts posted in your own forum then this is not a service for you. 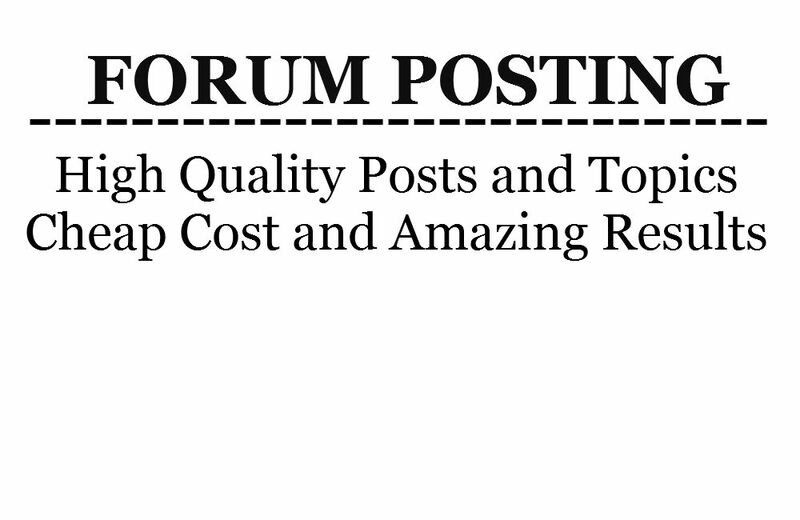 Post 10 quality posts or topics on your forum is ranked 5 out of 5. Based on 76 user reviews.